TWO MONTHS ON since Ryanair cancelled flights for hundreds of thousands of customers, some customers say they are still waiting to receive the compensation that they are owed. In September, Ryanair CEO Michael O’Leary confirmed that thousands of flights would be cancelled and cited rostering issues as the cause. At a press conference on Monday 18 September, he said that all customers would be offered full refunds, and would be informed of the steps they need to take to claim compensation. Some customers, however, say they have not received their money back despite having to make alternative arrangements at their own expense, and have not received compensation despite it being a requirement by law. In a statement to TheJournal.ie, however, Ryanair said that there were no delays and that all customers had been re-accommodated or refunded, and that valid compensation claims were being processed. Michael Teehan was due to fly from Dublin to Biarritz on Thursday 21 September. He was to be best man at a friend’s wedding. On the Friday before his flight, he was informed by Ryanair that his flight was cancelled. Very quickly, he had to make alternative arrangements. Teehan had tried to ring customer service and the live chat function on the Ryanair website but was unable to get through so went and booked alternative flights. He booked a flight from Dublin to London Stansted, at an extra cost of €161.98, and then from Stansted to Biarritz, for which he was charged €58. Because of the times of the new flights, he also had to book an extra night’s stay in Biarritz. He said he has made numerous attempts to contact Ryanair to get his compensation, but keeps getting told different things. A full two months’ later, Teehan still has not received compensation. He contacted Ryanair’s online chat function again on Friday 3 November, and was told he’d have an answer to his claim by the end of the next week. On Thursday 9 November, he talked again to the online chat support and said an attempt had been made to pay compensation to the card he’d used to book the original flights, but this had failed because his card had expired. And then, contacting Ryanair’s customer care team again on Monday, he was told that his claim is in fact still being processed. Tom* (not his real name) had a flight booked from Edinburgh to Stansted in September. He was told a week before his flight that it had been cancelled. But Tom has still not received his compensation. “I’ve called, I’ve emailed, I’ve sent all sorts of messages but they just haven’t responded,” he said. “I had some other flights that weren’t eligible for compensation that I’ve received a refund for, but nothing. They just have not paid. Customer care refuse to entertain any question about compensation. They say to email. Those emails go unanswered now. Tom even detailed an instance where he booked an alternate flight with EasyJet for the original dates, but was not given the cost of that flight by Ryanair. “You have to work so hard to get something,” he said. I’ve been around the block. I’ve never come across a company the size of Ryanair who wouldn’t give what I’m entitled to get. And no one is holding them to account. Andy* (not his real name) had booked a flight from London Stansted to Edinburgh for a time in January 2018. He’d booked it in August and was told at the end of September that his flight was cancelled. Since it’s so far in the future, he’s not entitled to compensation, as this only applies for cancellations with less than two weeks’ notice. He is however, entitled to alternative travel arrangements or a refund. He booked that on 16 October, and submitted his claim for reimbursement to Ryanair. Andy spoke to someone in customer care again on 11 November, well after the three weeks he was told he’d have to wait to get his money back. “The person told me you have to wait seven working days, but I brought it up on the 31st I said back to her,” he said. ‘We can only go from the most recent time you followed up’, she said. This is despite me putting in several queries before. It beggars belief. He said he wished he’d just opted for a refund at this stage, as the whole process has been frustrating. An alternative flight at the earliest opportunity. An alternative flight at a later date of your choice (subject to availability). If your agreed rerouted flight leaves later than the original, you must be offered ‘care and assistance’ free of charge. This means reasonable meals and refreshments in relation to the waiting time and hotel accommodation in cases where an overnight stay becomes necessary. It also includes transport between the airport and the hotel as well as the cost of two phonecalls, emails or faxes. If you have been given less than two weeks’ notice of the cancellation, you may be entitled to compensation. The distance of your flight determines the compensation due. 1,500km or less the amount payable is €250. 1,500km – 3,500km and all EU flights over 3,500km the amount payable is €400. 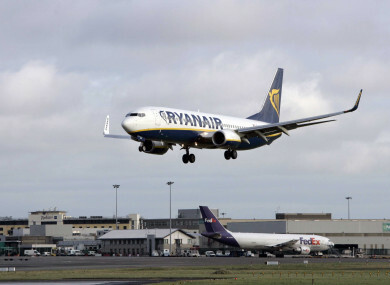 If Ryanair can prove the cancellation was caused by an ‘extraordinary circumstance’ which could not have been avoided, even if all reasonable measures were taken, it does not have to pay compensation. In the last week alone, however, dozens of people have taken to Twitter to ask Ryanair why they haven’t received their compensation over eight weeks since the cancellations. Between 9 November and 13 November, for example, there are 21 results when you use the search terms “Ryanair” and “compensation” on Twitter. The person I was travelling with has had their compensation - yet I am still waiting. Can you please clarify why this is? Whats the difference? It was the same flight. @Ryanair i don't get any answer for my compensation from 23.09. Reservation JT9VTT, flight FR6877 from Krakow to Bergamo. 30 working days? At the press conference confirming the cancellations, O’Leary said the airline was struggling with flight punctuality and that it was taking these steps to ensure that the majority of its flights ran to schedule. He said: “Because of our size and scale, it affects a large number of passengers. O’Leary did provide assurances that people would receive what they’re owed. Speaking at the Web Summit in Lisbon last week, however, Ryanair’s marketing boss Kenny Jacobs said it was the media who made the flight cancellations “sound like a big, big deal”. “We ended up having to cancel 700,000 passengers’ flights, which sounds like a lot,” he said. Fortunately, not a huge amount of people were stuck. What we ended up doing was cancelling flights far into the future. These weren’t that heavily booked. For people like Teehan who were placed in a tough spot by the cancellations, however, it did feel like a big deal. In some cases, Ryanair has actually apologised in some tweets to customers. In response to a request for comment from TheJournal.ie, Jacobs however said that there was “no delay” in paying compensation. Email “'It's been two months, it's just not on': Customers say Ryanair still owes money after cancellations”. Feedback on “'It's been two months, it's just not on': Customers say Ryanair still owes money after cancellations”.